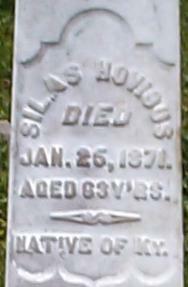 Silas Hovious Son of William HOVIOUS and Sarah HARDING. Born near Campbellsville, KY in April 1808. Silas Hovious is mentioned in Adair County court records for September 1821 as being bound out as an apprentice to James & Joseph McCrasky "to learn the art and ministry of the hatting business." Silas signed court papers certifying that he was free of the indenturement on 25 August 1826. On 5 May 1831 in Livingston County, He married Jane Adaline RAMSEY; the wedding was performed by Rev. Abel Teague. In the same week he was appointed to the town patrol in Salem. The couple had no more children after 1840 so Adaline may have died about then. In 1850, Silas Hovious left Kentucky and went West to join the California Gold Rush; he travelled by way of Panama and mined in the Pilot Hills areas of California, until about the fall of 1853. The 1850 census shows his children were living with various relatives & neighbors in Kentucky. 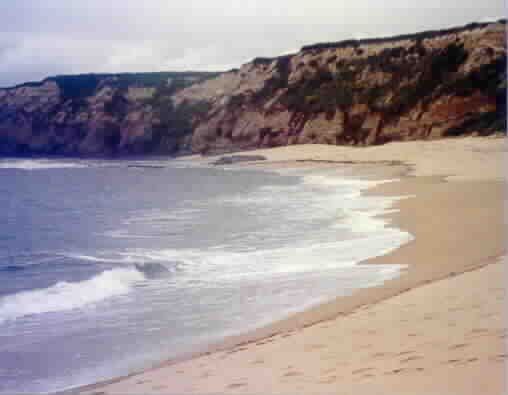 Silas settled at Half Moon Bay in San Mateo County. At its founding the county was a hotbed of political activity and intrigue. A lawyer named Horace Hawes single-handedly drew up a bill that he hoped to be the statutes that would govern the county, including the location of the county seat in Belmont. In the first elections of May 1856 "ballot boxes were stuffed, and every species of fraud perpetrated, to such an extent that when the returns came in that there had been nearly two thousand votes cast in a county where there were less than one thousand inhabitants." Controversy dragged on till the next election. Entering politics at age 52, Silas Hovious is listed as a Democratic Party nominee for County Sheriff in San Mateo County, California. He won the election and signed his name in subsequent issues of the San Mateo Gazette as "Silas Hovious, Sheriff and Collector, San Mateo County." He also appointed his eldest son James Deputy Sheriff. One of Silas' first actions as Sheriff was to auction off the land ---- 2076 acres of it! --- belonging to Hawes, for nonpayment of taxes. A disgruntled Hawes filed several lawsuits in April 1861, including one against Silas. In October 1861, Silas left the Sheriff's office to pursue private ventures. 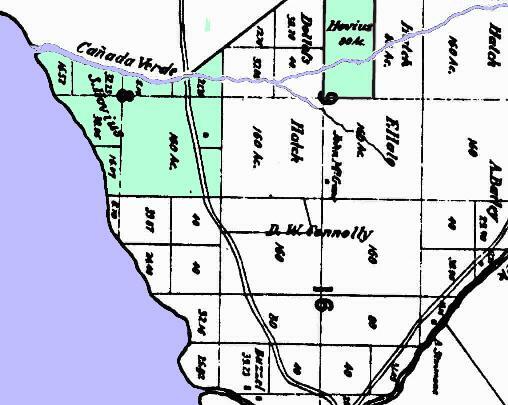 During the 1860s Silas built up an estate which grew to include two hundred acres of prime waterfront property on the Pacific Ocean; an official county map showing his property is included further down this page. He also owned thirty-six acres of redwood timber land, as well as 24 milk cows, 15 cattle, 1 yoke of Oxen, 4 horses and two colts. Three years after his death his children sold a minor part of his land, 17 acres of the timber tract, for $850.00 in gold coins, a small fortune at the time. 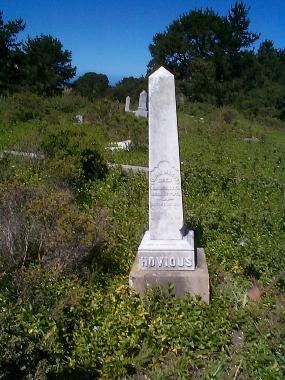 Silas Hovious died on 25 January 1871 in San Mateo, California. 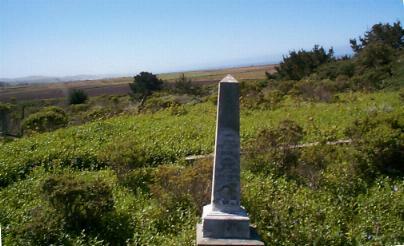 He is buried in San Mateo, in a peaceful spot facing towards the ocean. His family plot is shared with two of his grandsons who died in infancy. Susan W. HOVIOUS, born in Salem, KY 1831-1832. In August 1850 she lived in home of Wm. B. Smith, merchant. Susan married James Taylor MILLER on 7 October 1850. Livingston Co., KY. Susan died in 1852. James H. HOVIOUS, born in Salem, KY, 9 Jan 1835. Mary Jane HOVIOUS, b. Salem, KY 1837. In August 1850 she lived in the home of Sion Base, merchant. On 3 April 1854 in Pope Co., IL, 1854 Mary married her widowed brother-in-law, James T. MILLER (b. 1828, Floyd Co., IN - d. 1891 Cloverport, KY) He and Samuel Hovious were partners in the livery business in Cloverport, KY (Breckinridge Co.) for several years. James Miller also farmed. Mary Hovious Miller died on 26 May 1908 in New Albany, IN. She is buried in Cloverport, KY.
Samuel HOVIOUS, born Salem, KY abt 1840. In August 1850 He lived in home of Alfred P. Grainger, a tailor and husband of his aunt Rebecca Hovious Grainger. Samuel worked in the livery business with his brother-in-law James in Cloverport, KY, and died there in 1889. He never married. All information about Silas' death and estate as well as the map below provided through the diligent efforts of Frank Dickerson, San Mateo, CA. Information on Silas Hovious' marriage and children provided by John R. Hovious Jr. and Jim Hovious of Nashville, TN. Newspaper clipping provided by Dan Mosier of Mines Road Books, Fremont CA. Silas Hovious' property, colored in green. 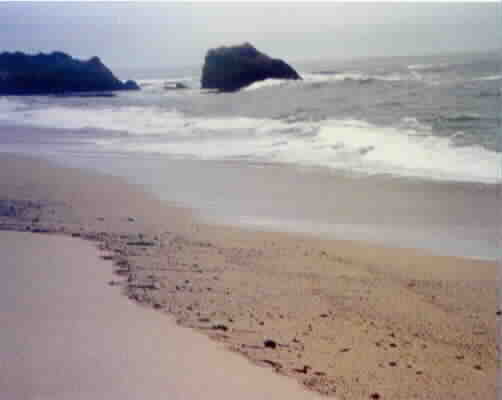 Looking North on the beach at Silas Hovious' property. Looking South on the beach at Silas Hovious' property.